Do you need insurance for your landfill, municipal collection, commercial collection, or garbage transport service? 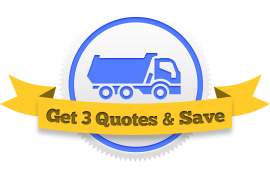 You can save money by comparing three garbage transport insurance agents at once. To get started, simply fill out our quick form. When you fill out the form, we’ll ask you a few additional questions, like how many garbage trucks you own and how many years you’ve been in business. The type and size of business you run and how long you’ve been in operation will give your agents the information they need to assemble a quote quickly. When you speak to multiple agents at once, you get a much clearer idea of what the marketplace has to offer. Anything fewer than three agents and you might not get access to every insurance company. That being said, more than three agents is bit of overkill. It takes a lot of time to fill out all those forms. It takes even longer to find insurance agents in the first place. When you use our tool, we automatically send your pertinent information to three agents at once. You don’t have to do the searching at all. All you have to do is choose. Once you start to get your quotes, you’ll be able to see which policies fit your budget. This is important. When you don’t compare multiple quotes at once, you run the risk of overpaying, or at the very least, not getting the best quote possible. The process is simple. You fill out one form and we send your information out to three agencies. To get started just click here.